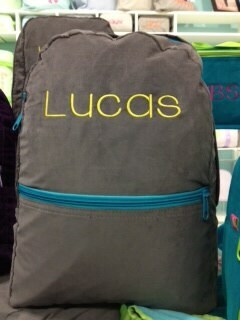 Our newest backpacks are in corduroy! Backpack is 15"Hx11.5Wx5"D. Inside is lined in white nylon. 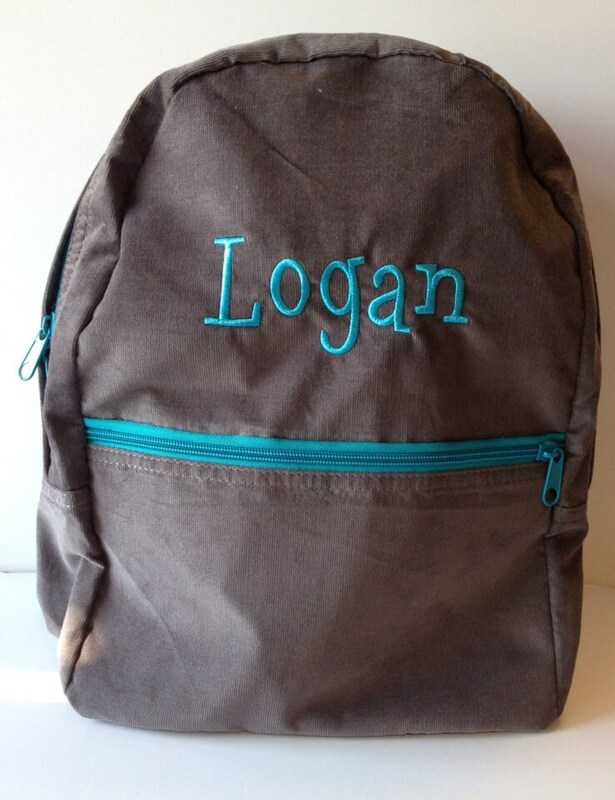 Padded straps are adjustable in the back. There's also a navy top loop for hanging. 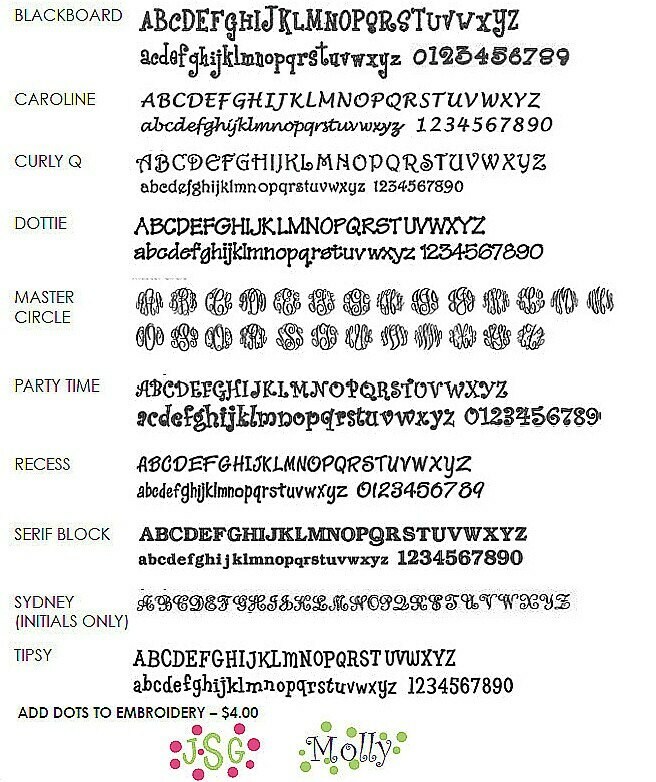 A monogram is included so be sure to let me know how you'd like it personalized when you check-out. 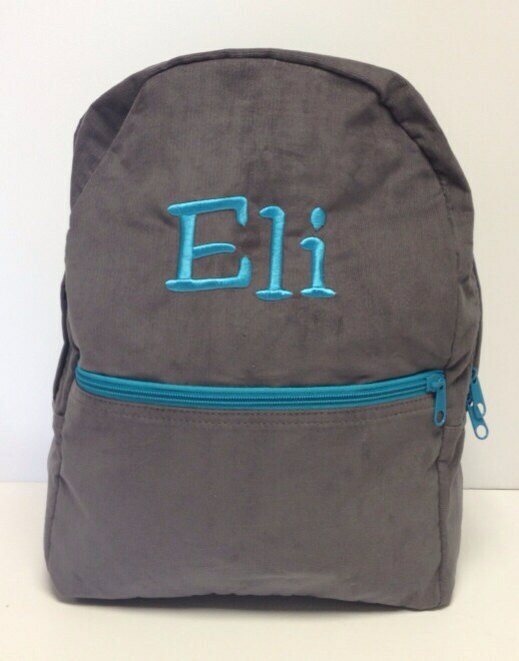 This backpack is also available in hot pink with navy accents and gray with pink trim. 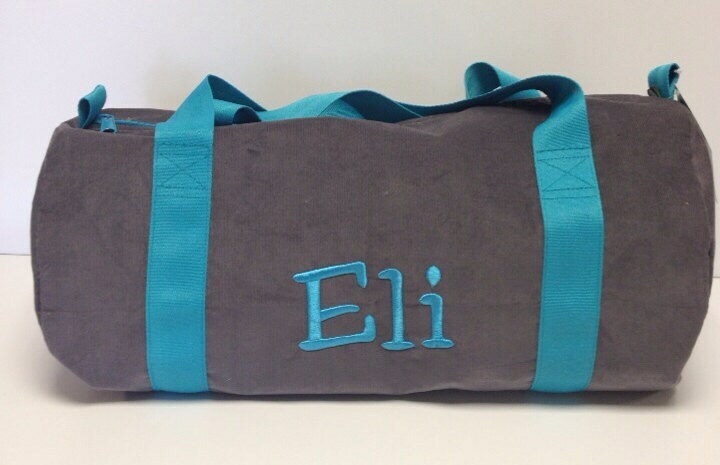 Be sure to look for coordinating duffle bags!